Zambia has supported efforts by the African Union to deepen the African Union and European Union (AUEU) Economic and trade partnership. Ministry of Foreign Affairs Permanent Secretary for International Relations Chalwe Lombe who represented Foreign Affairs Minister Joseph Malanji at the 19th Extraordinary Session of the executive Council in Addis Ababa, Ethiopia called for new deepened partnerships with the European Union which would guarantee mutual benefits by both continents. ’’Chair, it has often been said by our continental partners as they engage with Africa that they know what they want from us, but that many at times we either as individual countries or as Africa do not know what we want from our partners. I say this in order to stress the importance of Agenda 2063 for Africa’s future. It is our blue print for Africa’s integration and prosperity. Agenda 2063 shows that we indeed know what we want,’’ he said. The Permanent secretary who endorsed the SADC Position on AUEU relations said it was important that Member States lead the negotiations with EU since the agreements that will be signed will bind sovereign states. Mr. Lombe further endorsed SADC‘s proposal for Member States to constitute teams of qualified and experienced negotiators to guarantee a mutually beneficial agreement. He further supported the SADC stance that African Caribbean Pacific that has been a carrier of the Agreement with the EU should continue as an entity, guided by commonality of political, economic and other strategic interests among its members. The Executive Council was consulting and consolidating the common African position on the AU-EU Agreement that is expected to come to an end in 2020. The Legal requirement is that negotiations for a New Agreement should start 18 months before the current binding Agreement expires. Mr. Lombe also attended the 6th Retreat of the Executive Council meeting that tackled the Reform of the AU Commission, Reforms of Administrative and Financial management of AUC, Options for the selection of Senior Leadership of the Commission and the structure and portfolios at the senior Level among others. 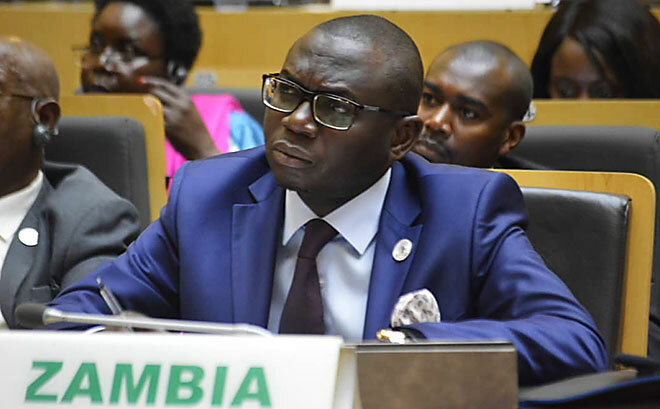 The current model of recruitment of African Union Commissioners has been criticized for failing to establish the right accountability, performance and management framework for the AU Commission. Mr. Lombe who made an intervention said that the solution did not lie in who selects but the selection process itself. ’We support Ghana on competence, Namibia on sanctity of the constitutive act, Botswana on legal frameworks and Zimbabwe’s submission,’’ Mr. Lombe said. Mr. Lombe said emphasized the need for geographical representation to extend beyond the Chair and Commissioners. “It is evident from previous recruitment exercises that we are not short of competent, qualified, and gender appropriate candidates’’, he said. He further said for the recruitment process to be properly done, it was imperative that rotation was done nationally and regionally at commissioner level.